A new look, and new features, for the Fastmail app. 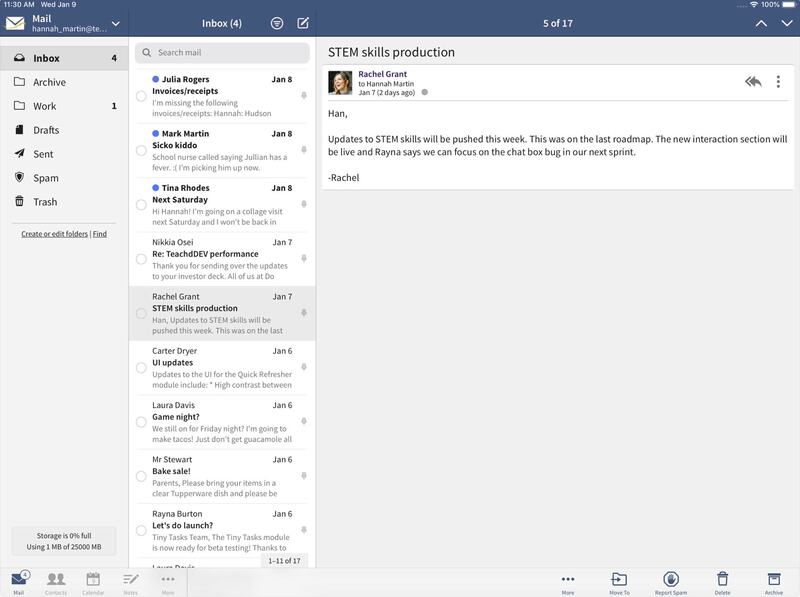 Fastmail got a long-awaited update this week, with a redesigned interface. It’s not just a slick new look, either. Individual messages get an action bar to perform a frequently-used tasks (archive, mark spam, and so on), and notifications can be fine-tuned to apply to any of your mailboxes. 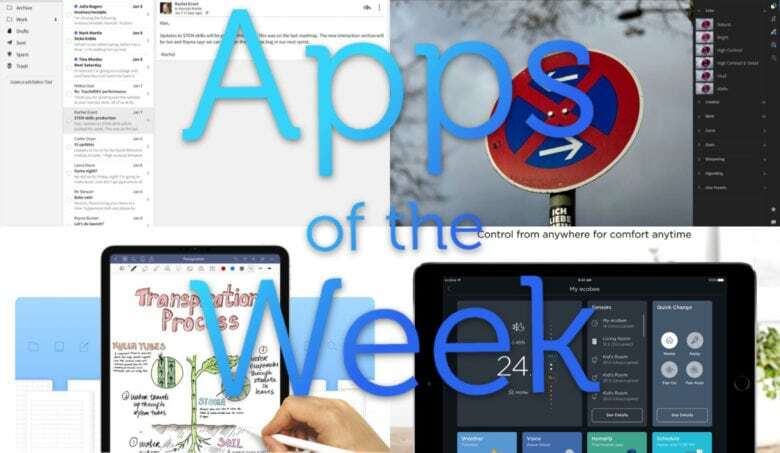 This week, GoodNotes 5 launched, an entirely new app (with upgrade pricing for users of the old app) that blows out the dust, and the olde-timey app UI in favor of a clean and organized view. You can organize by folders, and nest as many folders as you like. You also view everything in a list view. In fact, it looks a lot like the native iOS Files app. 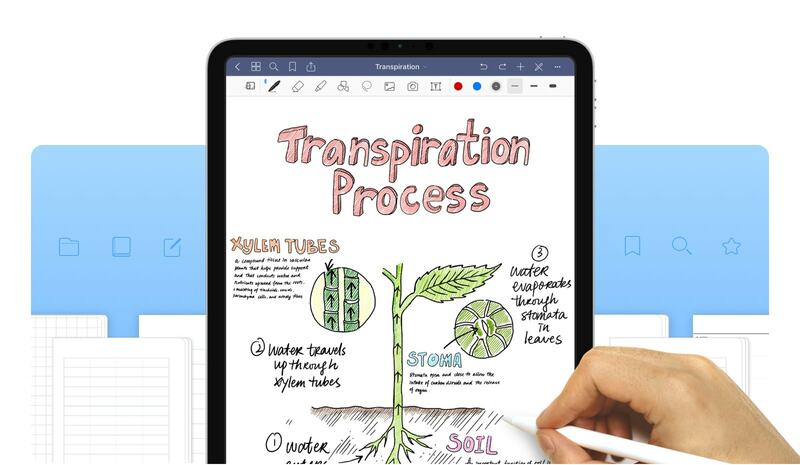 Even better, you can now search across your entire collection of documents and folders, including your handwritten notes. That’s worth the upgrade right there. And speaking of upgrades, GoodNotes 5 has a nice take on it. The app costs $7.99, but it also comes in a bundle with the previous version. This looks a lot nicer than Apple awful HomeKit app. 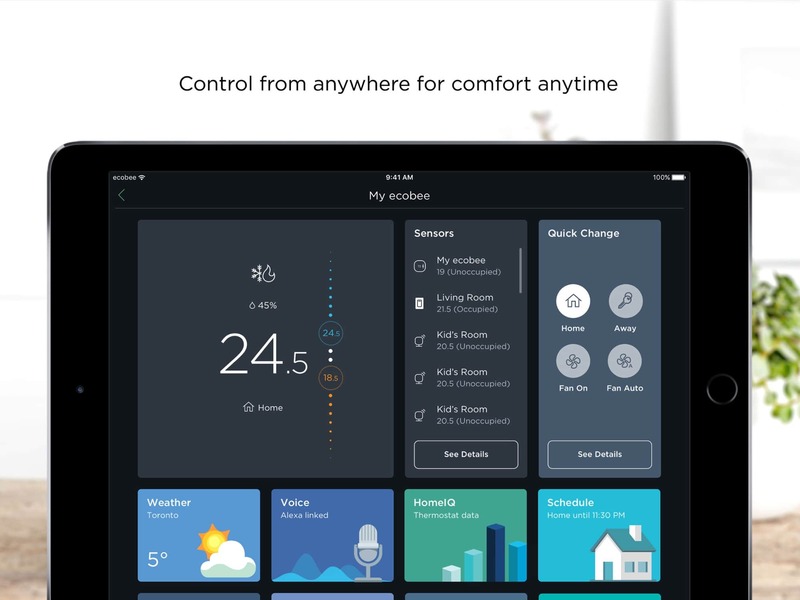 Ecobee’s iPhone app now lets you control your Ecobee smart home accessories from your Apple Watch. If you have Ecobee gear, and an Apple Watch, then this is fantastic news. If you don’t, then you’re stuck walking across the room to switch things on and off, like some kind of Neanderthal. Lightroom’s Shortcut lets you work around iOS limitations. 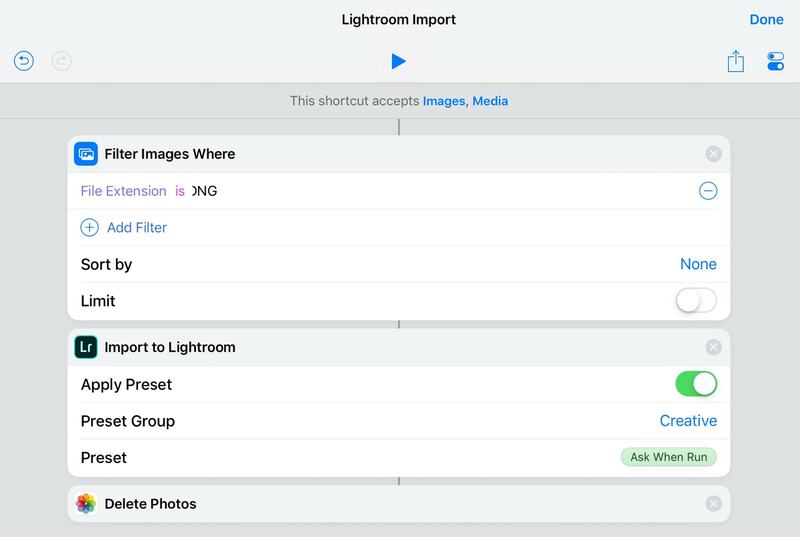 Adobe’s photo-editing app Lightroom got Shortcuts support this week. Now you can batch-import photos into Lightroom using a shortcut, applying any presets you like along the way. And because it’s a Shortcuts action, you can combine it with all kinds of neat workflows. AUM is essential for any iOS musician. AUM, or of the most essential apps for iOS musicians, got a massive update this week. First, it now supports the screen-sizes of the 2018 iPads Pro, but there’s a lot more than that. 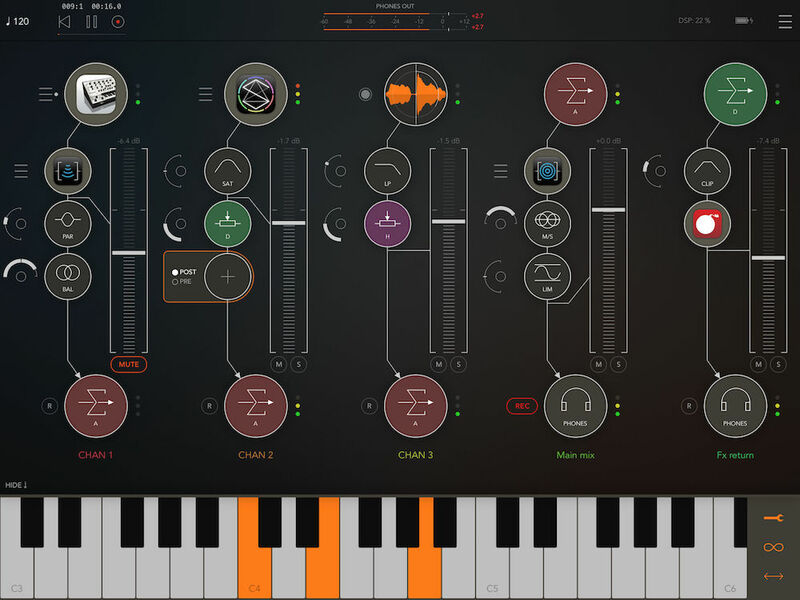 AUM is a mixing desk for all your other iOS music apps. It pipes audio and MIDI between apps, and connects to real-world interments ands mixers, letting you control everything from one awesome spot. Almost all of the additions are tweaks to what was in the app already, but if you’re a heavy user (like me), then you will appreciate every single one of them. If nothing else, it’s just a lot faster.